SANTA CLARA, Calif. (KGO) -- San Francisco 49ers quarterback Colin Kaepernick has been benched, but for how long? 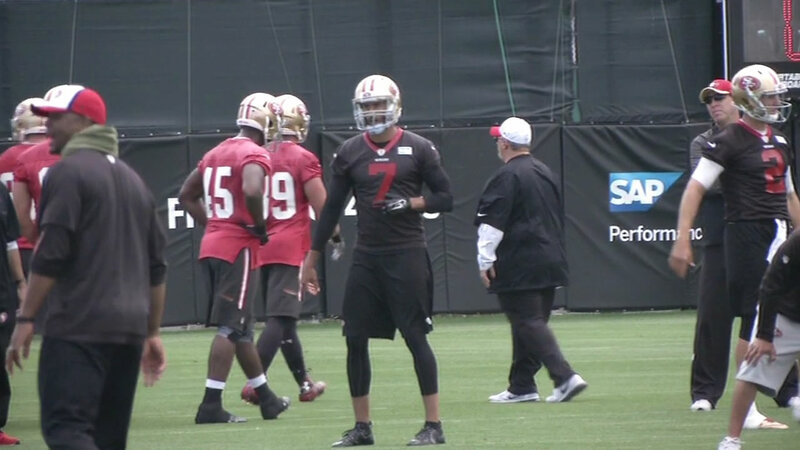 Wednesday some of the players spoke about this move and head coach Jim Tomsula explained his decision to bench Kaepernick. It is rare when you see and NFL team switch quarterbacks midway through the season, but that is just what the 49ers are going to do. The San Francisco 49ers will have some new faces in important positions when they play the Atlanta Falcons on Sunday -- Vernon Davis was traded and Colin Kaepernick was benched. Quarterback Blaine Gabbert will start on Sunday against the Atlanta Falcons at Levi's Stadium in Santa Clara. The players seemed to have a refreshing bit of enthusiasm as they throw their support behind Gabbert. 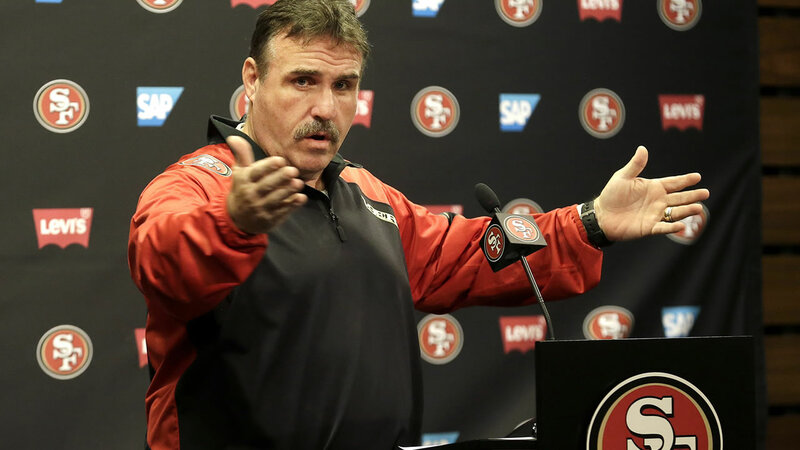 Tomsula said, "I made the decision to go with Blaine Gabbert this week and it was a tough decision. You know, all those decisions are tough, but I feel that's the direction we need to go." Tomsula made his decision and cleared it with General Manager Trent Baalke and thinks it will be beneficial to the team and for Kaepernick. After it was announced Monday that star quarterback Colin Kaepernick will be benched, 49ers fans express their relief, but don't think he's the only problem. "I want Colin to step back and breathe, look at things through a different lens," Tomsula explained. Gabbert is 5-22 in 27 career starts, but has not started a game since 2013. Regardless, he thinks that sitting back and watching has helped his game. "All quarterbacks want to have long careers and there's going to be ups and downs, bumps in the road, but at the same time, you just got to pushing forward because you never know when you're opportunity is going to be," Gabbert said. Is this a one-game audition for Gabbert? "I'm just taking it as a chance to go out there and just prove to this team what I can do," Gabbert said. His teammates have been behind their new quarterback and they'll do whatever they can to help Gabbert be successful. When asked what Gabbert brings to the table, 49ers wide receiver Bruce Miller said, "From what I've seen here, he's a guy that's very comfortable in the offense. He's got a confident skill set, he can make every throw. He's still been working hard even as of late and we'll see what he does with his chance." 49ers fullback Bruce Miller said, "Confident player, determined, good leader in the huddle, and a good commander when he's under center and calling the plays and making things happen. So, excited to see him work." When asked how Kaepernick is taking his demotion, Gabbert said, "Colin's been great and I wouldn't expect him to be any other way. We have a great quarterback room, the dynamic between us is wonderful and it's going to continue to be that way."